It's the beginning of September, therefore time for favourites. This month favourites have been a palette overload and me reaching back into my lipstick collection, picking up colours that are bolder and brighter and also a new skincare product that I have been loving. 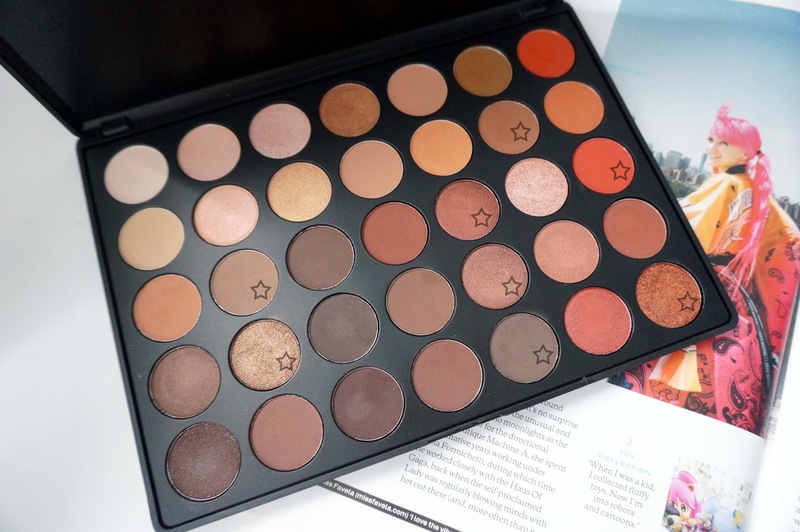 I got my hands on the Morphe Brushes 350 Palette which I did a whole post on where you can get this in the UK here. I love this and it's has everything I'm looking for in a palette. It's overall a warm selection and contains copious amount of different shimmer and matte shades. My favourites are the taupe and copper shimmer shades which I wear everyday especially when I opt for no eyeliner. These shadows are pigmented and blends beautifully with each other. The swatch photos above are both unedited but the lighting made it look different. A palette that I haven't put down since I received it, has been the Jaclyn Hill Champagne Collection Face Palette. I love the shade Amaretto as my overall blush shade and I love mixing Champagne Pop and Prosecco Pop together. I have a whole review here on the palette and I'm wearing the Jaclyn Hill palette on my Instagram picture here. Skincare favourite has been the Ole Henriksen Sheer Transformation, I like to layer on my skincare and this is light enough as a cream and overall seals in the other products I apply on my face. It has a whipped-like texture and absorbs into my skin instantly. I am not a fan of the smell but I have grown used to it. It contains many skincare benefits such as Vitamin C and is an anti-aging product. Lastly is a Mac lipstick in the shade Taupe. It is a reddish brown and looks redder on me rather than brown due to warm undertone. When I wear two layers of this it brings out the brown more. I really love this shade and the MAC matte formulas are a favourite of mine especially the vanilla scent. This lipstick lasts on me all day and is easy to reapply. That is all for my favourites, it's not a lot of products but it makes me realise that I need to swap out my products more that are in my draws. What are your favourites this month? Mac Taupe looks like my kind of color!